Basically water, soil, and light are needed in order to plant growth. 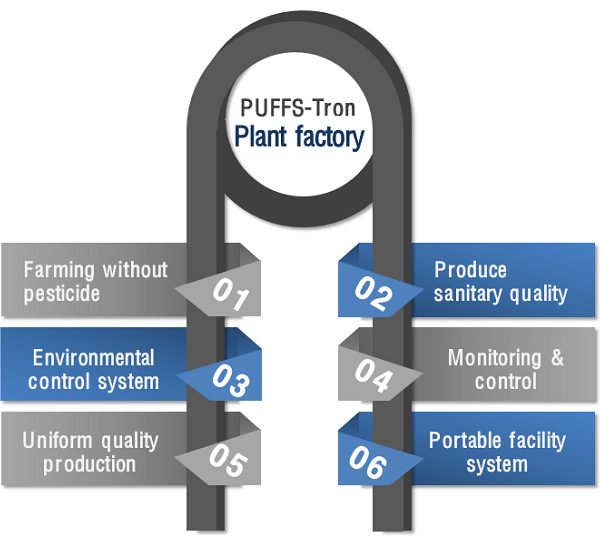 Plant factory also need suitable environment in order to plant growth. Soil, artificial medium, and nutrient are needed. So it is possible to produce all year round. 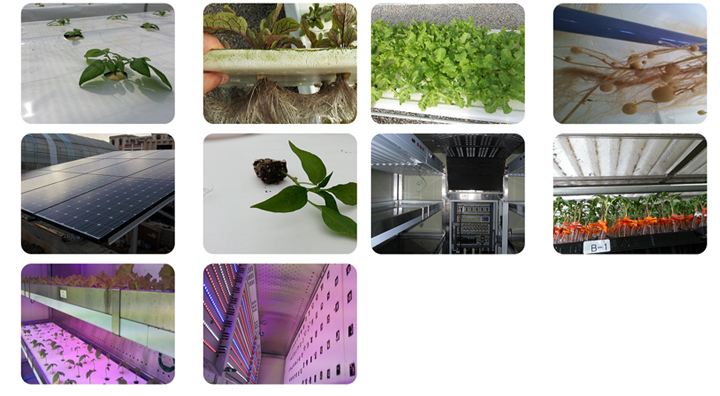 Plant factory utilize the external temperature and natural light. So it reduces 50% on energy consumption. 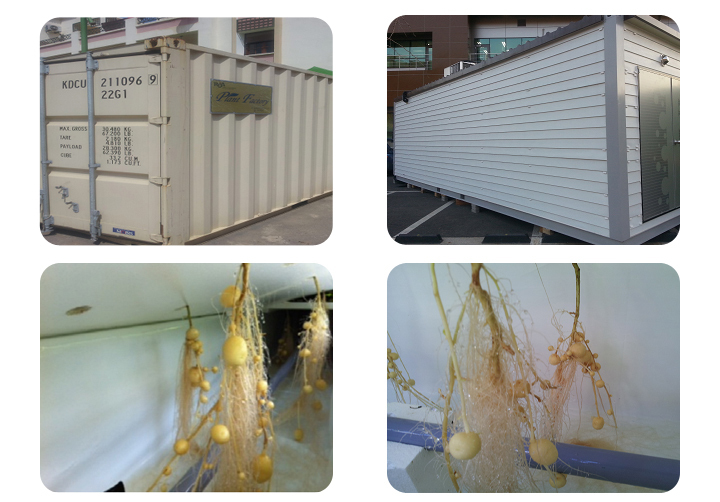 Hanam engineering’s plant factory is cultivated without pesticide. So it produces sanitary quality products. Also, plant factory can be used various ways. Basically seed/leaf & fruits and vegetables can grow in the plant factory. 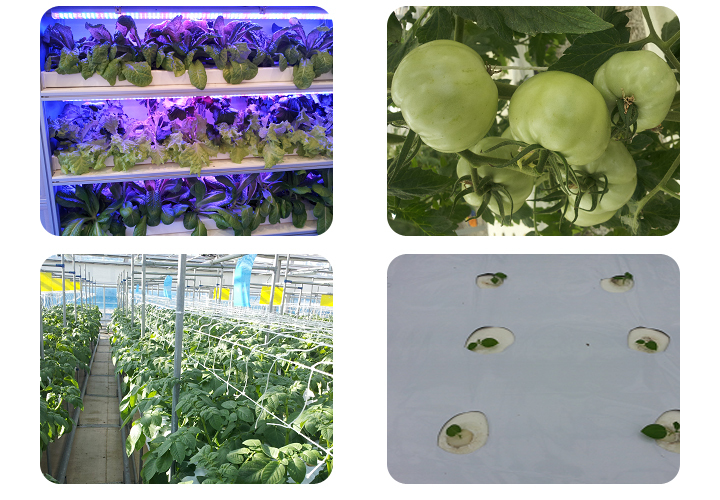 In addition, plant can grow in extreme environmental condition by control the environmental factor. 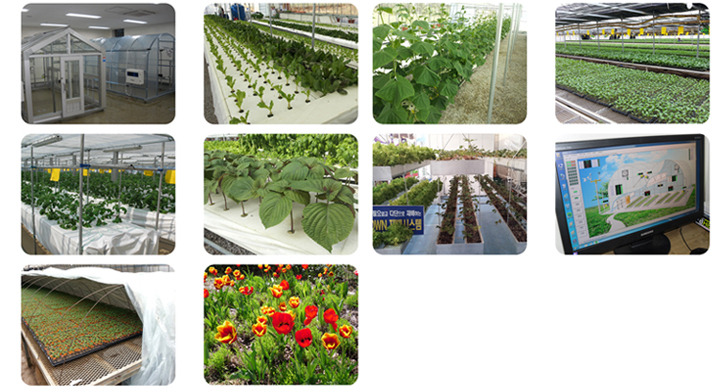 Hybrid type plant factory can be classified into three types which are building type, container type, and greenhouse type. Plant factory utilize two types of light. In the daytime, it utilizes natural light while it uses artificial light in the night time. So it leads to save energy 50%. Produce leaf & fruits and vegetables simultaneously. 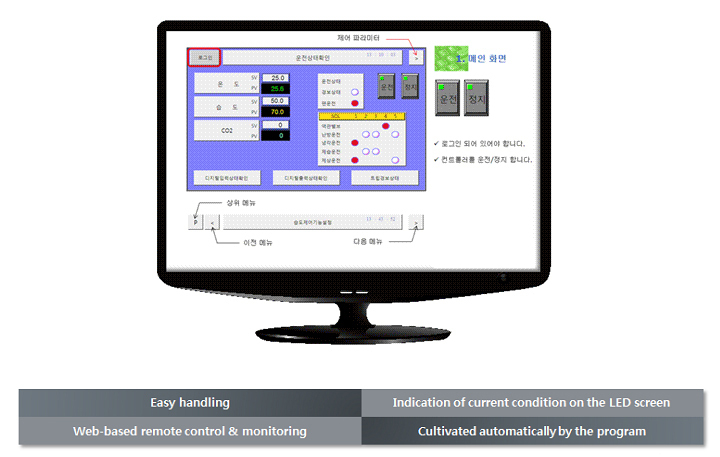 Hanam engineering’s patent technique is heat release systems which are Hot gas by pass and Heat pump system. Heat reservation is really good so it has high energy efficiency. Condensate water is recycled to adjust moisture and nutrient. It is designed portable units, so easy to transport. No need for rain shelter green house. In the daytime, it utilize natural light. And in the nighttime, it uses artificial light. Usually this type is preferred by Korea, Japan and Southeast asia. It can be constructed it’s length and width depending on the user’s preference. Steel structure is appropriate for typhoon and heavy snow. 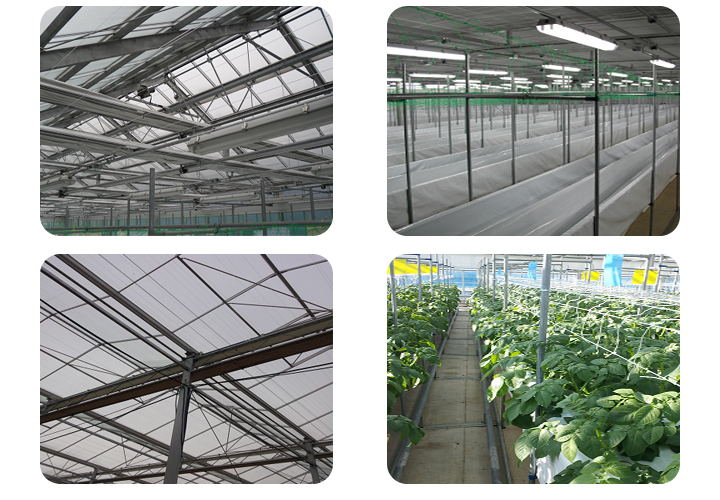 As european glasshouse, the widening of roof is fixed in 3.2~4.0 meters. This type is appropriate for large size of glass house. It saves fees for water and electricity because of the energy saving system. The structure is settled independently under individual heating system. This type is appropriate for small size of viny house. This type is appropriate for large size of viny house. It is necessary to change culture soil regularly because viny house is impervious to rain.